You’ve probably heard that adding curb appeal can increase the value of your home. There’s now research to back that claim up. Homes with excellent landscaping can expect a sale price of about 7-15% higher than equivalent houses with good landscaping, while improving landscaping from average to good can result in a 4-5% increase. When homes are worth 200, 300, 400 thousand dollars and more, 7 to 15 percent of the value is a big chunk. By spending 5% of the value of your home on the installation of a quality low-maintenance landscape, you could boost the resale value by 15%, earning back 150% or more of your landscape investment. 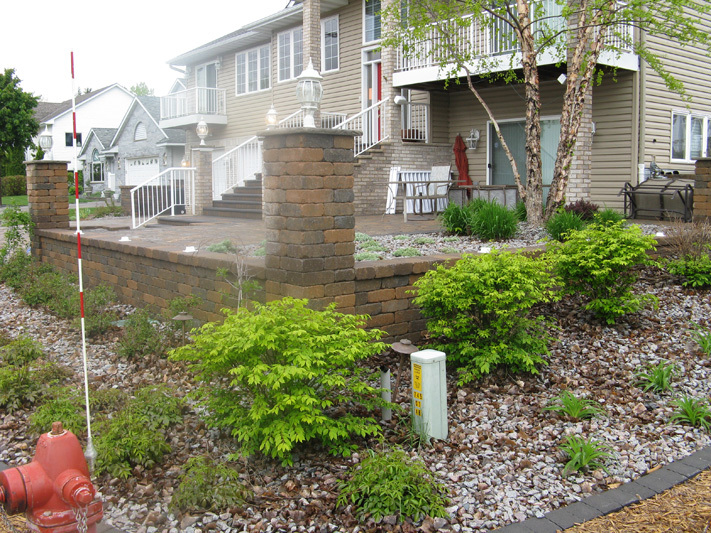 Landscaping can bring a recovery value of 100-200% at selling time. Kitchen remodeling brings 75-125% recovery rate, bathroom remodeling a 20-120% recovery rate and addition of swimming pool a 20-50% recovery rate. 95% of the members of the Society of Real Estate Appraisers say landscaping adds to property value, while 99% agree landscaping increases speed of home sales. 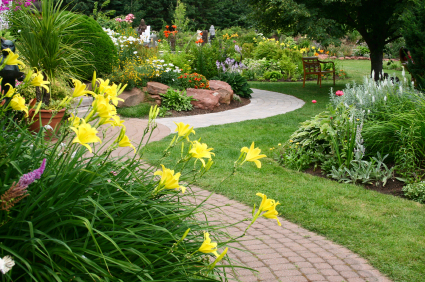 As an investment, landscaping can increase the value of your property by as much as 20% if done well. According to a joint study by Clemson University and the University of Maryland, potential home buyers will pay up to 11.3 percent above the asking price for homes with thoughtfully-designed landscaping. Landscaping can add between 7-15% to a home’s value. In one study, 99% of real estate appraisers concluded that landscape enhances the sales appeal of real estate. Homes with nice landscaping are likely to see sale prices that are 4 to 5% percent higher compared to similar properties in the neighborhood, according to the Guide for Plant Appraisal, published by the International Society of Arboriculture. Homes with landscapes that are not as nice as others in the neighborhood could see sales prices that are 8 to 10% lower. Eighty-four percent of the real estate agents interviewed for the study said a house with trees would be as much as 20% more salable than a house without trees. Freshening up your yard makes homes sell faster. The best result was a 76% estimated “profit” for the homeowner, an $8,400 increased selling price after a $4,700 landscaping project. There has been a drastic shift in how much yard work people would like to do. Homeowners are short on time and spending their weekends on landscape renovation is not an option or a desirable hobby. If a home already has an attractive outdoor space that is easy to maintain, that is very appealing to a potential buyer. In today’s fast paced world, instant gratification is greatly appreciated, and buyers are willing to pay more for it. There are many factors involved in determining what type of landscaping project makes sense for you. Preparing a home’s outdoor space for sale is very different from creating the oasis of your dreams. An elaborate water feature with a 15 foot cascading waterfall may not recoup a 150% return on investment but if you plan to be in your home for years to come the enjoyment derived from this investment substantiates the cost. Outdoor kitchens and fireplaces are very hot right how. Beyond the improved quality of life, this type of investment makes a lot of sense from a dollar standpoint. However, in a modest neighborhood, buyers may not be willing to pay extra for this type of amenity. Every client’s situation is different, and every homeowners has to decide what makes the most sense for them. There are plenty of weekend warriors who would prefer to save money by doing their own yard work. If you’re working on a limited budget for your landscaping project you can still work with a landscaper. A good Minnesota Landscaping company can help you work up a plan that can be done in phases: to be broken out over three years so that you’re never over-extended on your budget. The earlier you begin your regular lawn maintenance the better, so even if you aren’t planning on selling your home yet, you should be working on increasing the value of your home before that day comes. So if your lawn and landscaping looks a little tired, try giving it a facelift. You may add value to your home!